Book Three of the Curse Keepers series. For centuries the gods have waited - for the betrayal that will release them, for the traitors who will defend them, for the warrior who will challenge them. Now at long last the gate between the human and spirit worlds is open, and with it, an army of vengeful demons poised to swarm the earth. Only the Curse Keepers, Ellie Lancaster and Collin Dailey, can stop it…if they can break free from a tangled web of treachery, jealousy, and lies. Torn between two men - her heart belongs to David, yet her soul is bound to Collin’s - Ellie no longer knows who she can trust. Demons slipping through the gate are leaving a trail of bodies in their wake, each death a chilling reminder of the power of the ancient spirits to bring humanity to its knees. Faced with an unimaginable future, Ellie realizes the time has come to turn her back on prophecy and choose her own destiny - even if it means defying the gods themselves. ©2014 Denise Grover Swank (P)2014 Brilliance Audio, all rights reserved. Ellie has discovered that she has been played for a fool. The gods see her as nothing more than a mere pawn in their games. Struggling to figure out who she can trust and who she can't, she continues on her journey to get rid of the demons that surround her and cause terror once and for all. The series itself is great. I learned to love it. I really did. Book two was my favorite over all. However, I'm very upset with the ending. I will not go into details because I do not believe in spoiling books for others, but yeah. Cliff hangers are okay. Really. They are. I've never been one to hate them. They draw attention to the next book. If there is no next book, there should be no cliff hanger! It's really that simple. This book wasn't really as good as the second one. It was still better than the first one though. I've already pointed out my biggest flaw with this book and I don't want to be redundant. There were places that kind of drug on and places that I felt needed more detail. Either way, I adored it until the end. The transformation and growth of two of the main characters is amazing! I absolutely loved it. I can't say I really cared for certain character's attitude changed. And I predicted something about one of the characters right off. Either way, it was nice to see Ellie focused and determined. She shows a lot of remorse and self blame, but that's to be expected with what she has gone through. At least she's not the bratty self absorbed person she was in the first two. Because of the ending, I had to knock my rating of this book down to three out of five stars. I was very disappointed in how it ended in a big way. I have many questions. I just don't get how anybody would end a series on a cliff hanger. I still recommend it, but I think anybody who hates cliff hangers as much as I should might consider passing on it. I've read this book on my Kindle. I didn't have enough time to re-read it, so I decided to listen to it instead! I spent a lot of time in my car, so it was perfect for me. Shannon is highly skilled as a narrator. Her voice is perfect as "Elllie." 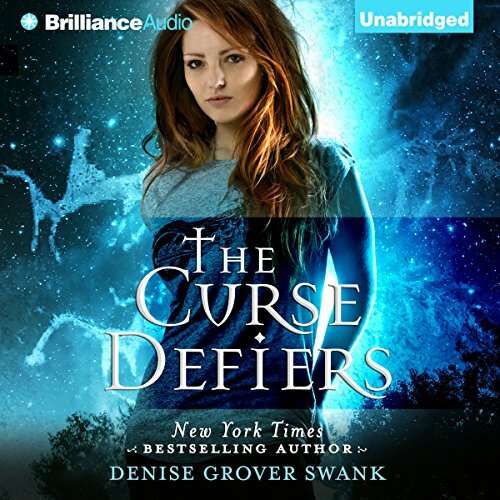 I highly recommend listening to this series, or any book by Denise Grover Swank, in audiobook format! Not only is this novel phenomenal, but Shannon McManus delivers it in the best way possible. I never tire of this story and look forward to finding out more about Ellie, Collin, David, abc Claire! Denise Grover Swank NEVER disappoints. Her ability to weave a story never ceases to amaze me. This series will always be one of my very favorites. The story just keeps getting better! The characters are fleshed out and exciting. Waiting for number 4. I wasted 60 hours reading the series only to get to the final book and it's still not resolved. I have no idea how the story ended because the author has elected not to end it. It doesn't look like another book for is coming out but I sure hope it so but will I be left in the same circumstance after reading books one , two and three? Should I waste anymore money on this author and her series to be letdown over and over again? I will never read anything else that she writes because she does this consistently. What author writes a truly great story only to leave everything pretty much under answered?